What do you think of the Buddh International Circuit? It's quite an interesting track; one of the better ones from the modern circuits. It's quite similar to Korea; long straights, not terribly challenging corners and hard braking. It's not as technical as Korea which was another new track for me last year, but it's good. It's always nice to go to a new place like India. It's certainly a good track to go fast with a strong car in front of all the others! How was your first - and only â€“ race at the track so far? It was okay but it could have been better. We struggled for grip over the weekend last year and we made life difficult with the change of setup before qualifying. After that there was nothing really to do on Sunday. In the race itself we had enough speed to challenge for the top positions, but we got stuck behind slower cars and overtaking was impossible. I can remember spending a lot of the race trying to get past Felipe [Massa] so that wasn't ideal. Did you get to see much of India? No, it was my first visit and I spent my time in the paddock and the hotel. We only come to race and India is a very big country! The thing I like is eating Indian food, which I really enjoy. Japan was quite a straightforward race for you? It was a pretty normal race I would say and it's good that we got some points. I had a very poor start where I left the line with a lot of wheelspin and lost a few places. This wasn't ideal and it meant I got stuck in traffic, but I managed to gain some places back later on. You spoke over the weekend of the car feeling more to your liking, which much be a positive looking to the remaining races of the season? The car felt pretty strong all weekend and we've made good progress with it recently. It's still not exactly as I want it and we're trying to get rid of some understeer which is something I don't like. In Japan it was hard to show our real pace at the beginning of the race as I was stuck behind slower cars for quite a long time. After the final pit stop when I got a bit of free air the car was working much better. It ran well in the last half of the race and I was very happy with it. Unfortunately when you don't have an ideal qualifying it makes life a bit harder on Sunday. It's not easy to overtake at Suzuka and we weren't so fast in a straight line which made it more tricky, but I got past a few people which was important after the slow start. With Nico [Hulkenberg] I managed to get a good run on him leading up to the chicane which is what made the difference. We did what we could. What's the target for India? Hopefully we finally get it right in qualifying as the last five qualifying sessions have not been that great for me. If we don't, it's going to be a difficult Sunday afternoon, although of course we'll keep pushing. If we do get it right, then we can really go for it! Your performance in Japan was pretty fantastic; how are you feeling heading into the remaining four races of the season? I'm feeling really good with the car, my confidence is getting higher with every race and I'm very happy with the team, so I'll keep working hard to improve the areas that need improving and we'll keep pushing for top results right to the end of the season. How good was that race start in Japan? How wide were you driving your car to try to keep the Red Bulls behind you? You never want to concede a place, but when you're leading the race or fighting for a podium position you can find ways to make your car very wide! Sebastian [Vettel] had a lot more pace than me but we were able to fight a bit more in the battle with Mark [Webber]. It's a shame we caught the back markers when we did as I think we'd have had an even stronger fight if it wasn't for them. What are your thoughts on the Buddh International Circuit? I like it. I first visited the track as third driver for the team during the inaugural race weekend in 2011 and was really impressed by the facility, then of course I drove it for the first time last year. The layout includes a nice mix of corners with a bit of gradient change which is always a good thing. There are some decent straights with wide corners at the end of them to help with overtaking, although it's still not the easiest place in the world to pass somebody. Then there's the linked Turn 10 / 11 combination, which is a bit like Turn 8 in Turkey in that it seems to go on forever. It's quite a fun track to drive. What are your expectations for the Indian Grand Prix? Our car is really performing well at the moment so I think we could be strong again. It's fair to say we struggled there a little last year with finding grip and getting the right setup for the cars, so hopefully we can perform better this time. The tyre allocation was quite hard for the track in 2012, but this year it's softer which should help us and make for better racing. What do you think of India as a country? It's certainly a different experience from a lot of the places we visit and it's great to see a different culture. Aside from racing what will you be interested in? I have a great love for cuisine so I'm always interested in local food, and there are so many interesting dishes, spices and ingredients in India. How much are you looking ahead to 2014? Right now I'm working on doing the very best I can at each remaining race in 2013 and I think that's the best approach for now. As soon as the season's over I'll get a little rest and recharge my batteries, then we're back to see the new cars launched and to start testing them. It will be a very interesting challenge with all the new rules that are coming in for next season. A new area is coming for the sport and that's always very exciting. [/quote]As soon as the season's over I'll get a little rest and recharge my batteries, then we're back to see the new cars launched and to start testing them. It will be a very interesting challenge with all the new rules that are coming in for next season. A new area is coming for the sport and that's always very exciting. So looks like Gro has got his 2014 contract done! Speaking like a new team leader. Everything seems to be looking good for the team in terms of on-track performance at the moment? Weâ€™ve certainly been delivering well on track at the last few races, so thereâ€™s some good positivity coming out of Enstone looking to the remaining four races of the year. We did see a little dip in performance at the final two European races of the year leaving us with some ground to make up in both Championships, but certainly we look to be well placed relative to our opposition. How satisfying was it to see an Enstone car leading for half of the Japanese Grand Prix? It was particularly satisfying. As Team Principal you are aware of all the work that goes on behind the scenes to try to make your car faster than the opposition. Itâ€™s a relentless battle, so for everyone at Enstone it was a great sight to see one of our cars leading for so much of that race. For Romain himself it was a fantastic performance. Itâ€™s no secret that he hasnâ€™t always had the easiest time of it as a Formula 1 driver, but itâ€™s clear to see how much his approach has matured this year and the results of this can be seen in how he is delivering on track. Itâ€™s great to have both drivers delivering so well with a car which is one of the best on the grid. Is the team any closer to making an announcement regarding 2014 driver line-up? There are no announcements yet but there is plenty going on behind the scenes. We know that Kimi is headed elsewhere for next season, but we also know that Romain would bring good continuity as well as the strong performance potential weâ€™ve seen recently. There are a number of other good drivers on the market at the moment, so weâ€™re in a strong position of being able to assess the possibilities. A race seat with Lotus F1 Team is pretty hot property at the moment, so weâ€™re confident weâ€™ll have a strong line-up in 2014. There has been a lot of talk, and there are a lot of positive things happening behind the scenes. Weâ€™ll certainly be shouting from the rooftops when everything is finalised as we should be exceptionally well placed looking to the future. How strong is the teamâ€™s technical strength looking to 2014? Itâ€™s true weâ€™ve had a few people leave in 2013, but weâ€™ve also been recruiting ourselves. Thereâ€™s been quite a lot of movement recently; not just within Enstone, but between other teams too. Itâ€™s part of the sport and always has been. The strength of our technical department can be seen by the successful introduction of the long wheelbase E21. This change was driven by a new approach to how we develop the car and itâ€™s been a valuable proof of concept as we look to develop next yearâ€™s model. Iâ€™m confident we can continue our recent run of form and improvement next year. Whatâ€™s the aim for the remaining races this season? Podiums, podiums and podiums; we need points to help us with our Championship fight and you score the most points when youâ€™re spraying the champagne! Of course, we want to be winning races and weâ€™ll give our all whenever there is a sniff of victory, just like in Japan. Thereâ€™s one fundamental problem with trying to win at the moment, and thatâ€™s the pace of the Red Bulls. Weâ€™ll keep pushing and if we can beat them again this year it would be a tremendous performance. What is possible in the Constructorsâ€™ Championship? If we continue as we have done for the last few races, then mathematically second in the standings becomes a very attainable target. Of course, we all know that anything can happen in this sport, but second place would be an amazing result so weâ€™ll push as hard as we can and you never know what might happen. Whatâ€™s the feeling after the Japanese Grand Prix? There was a lot to be positive about after our performance at Suzuka. Romain had a fantastic day â€“ leading for 26 laps and genuinely looking like he was in contention for the win for a portion of the race â€“ whilst Kimi was able to demonstrate similar pace in clear air as he worked his way up the order superbly at a track where overtaking is a challenge. After strong performances in both Japan and Korea before it, we head to the next two races with good confidence. Itâ€™s a good track with a mixture of challenges, but nothing particularly tricky. Thereâ€™s a steep uphill section into Turn 3 followed by a sizeable straight, a long banked right-hand corner and some quick changes of direction through Turns 5-9 and 13-14. Itâ€™s a circuit where we expect the E21 to work well. Although we saw in Suzuka that we can compete on the harder tyres, our car generally favours the softer compounds making this a race where weâ€™re very much looking forward to continuing our run of strong recent performances. Last year we struggled with a lack of grip and straight-line pace? DRS overtakes are tricky at Buddh. There was a double DRS zone last year, but even though thereâ€™s a long straight itâ€™s not the easiest place to overtake. That said, weâ€™ve seen some reasonably good attacking moves in the last few races and the softer allocation should help with passing opportunities too when differing degradation levels from different cars are factored in. How much difference should the revised tyre allocation make? The change from hard and soft last year to medium and soft this year should make for quite a different race, where we saw one-stop strategies driven by the hard tyre allocation. Last year the performance gap between the tyres meant that everyone qualified on the soft and raced on the hard after a single stop. This year, the soft and medium compound open up the strategic permutations. With this seasonâ€™s tyres also being a step softer than last yearâ€™s soft tyre, we have softer tyres to both qualify and race with. It could be a far more interesting race with strategy split between two and three stops. How much are we still learning how to get the maximum performance out of the tyres; especially with the mid-season change to the construction? Even without any change weâ€™d still be discovering how to extract the best performance, as you never stop learning in this area. We certainly learnt more about the tyres in Suzuka where we made changes to the setup overnight between Friday and Saturday, and this is knowledge we take to India. The relative performance order seems to have changed a little between the teams recently? From our perspective thereâ€™s no doubt that the long wheelbase car has benefitted our performance. Itâ€™s difficult to put a figure on it with the fundamental change it has been, but itâ€™s an endorsement of all the simulator and modelling work we did in this area. Weâ€™re qualifying better, racing better and weâ€™ve been on the podium for the last three races at a variety of tracks from Singapore to Suzuka. These are about as different as you can get â€“ one being a street circuit with super soft tyres, the other a very quick, flowing circuit on hard tyres â€“ but itâ€™s clear that the E21 is working well on all variety of layouts. Add this to our increasing knowledge of the tyres, a few aerodynamic tweaks and both drivers being at the top of their game, and weâ€™re looking good. Pit stops seem to be another area where the team has upped its game recently? Itâ€™s an on-going battle to make the pit stops as quick as possible, but also reliably so. This is something which every team spends a lot of time looking at and weâ€™ve made progress in two areas; new equipment and a performance increase from the crew themselves. We have a relentless practice programme where we constantly evaluate procedures and the speed of the stops. The crew have been working hard at this so itâ€™s good to see it paying off. Pit Lane: One of the longest in Formula 1 at over 600 metres, with a resultant influence on pit stop strategy. Turn 3: Extra wide to promote overtaking, Turn 3 is also one of the slowest corners and leads on to the longest straight, meaning overtaking opportunities should present themselves. Turn 4: Arriving at the end of the longest straight, Turn 4 is another wide corner which should assist with overtaking. Itâ€™s also the heaviest braking point on the circuit with cars going from 320 down to 90kph in just 140 metres; another aspect which should aid passing manoeuvres. Turns 8 â€“ 9: This right / left duo requires quick change of direction from the car. Turn 10: An uphill corner heading straight into Turn 11, forming one of the most exciting parts of the circuit overlooked by a grandstand with a capacity of 13,000. Through this long curve, understeer is the enemy and car setup is focused on countering this. Turns 13 â€“ 14: Another section requiring good change of direction from the car, which needs to be stiff to ensure receptive response. Turn 16: Yet another wide section of track to promote overtaking. Front Wing: Front wing downforce levels must be sufficient to eradicate understeer; particularly through the high-speed Turn 10-11 combination where it would cost a lot of lap time. Rear Wing: The Buddh International Circuit is comparable to a Suzuka or Barcelona level of downforce; similar to that used in Korea, which is a couple of steps away from maximum load. Suspension: There are no significant bumps or kerbs that require special attention, but good change of direction through the medium speed corners is required, so suspension would tend to be at the stiffer end of the range. Brakes: There are significant braking demands at Turns 1 / 4 / 5, but overall it isnâ€™t a hard circuit for brakes. There is a long straight for the brakes to cool before Turn 4 and they also will not be unduly stressed heading into Turn 1. Engine: The first part of the circuit requires good top speed and power, since 75% of this sector consists of straights. The second part of the track is twistier and requires a more driveable and responsive engine. The resultant engine requirements will be similar to Korea in this respect. Dust and grit from the surface can also be ingested into the airbox, so filters will be regularly inspected to avoid blockages. Tyres: Pirelli has allocated the medium and soft tyres this time around. Previously the hard tyre was brought with the soft, presenting a challenge for the team. Capping off a memorable year which sees the young Frenchman currently occupy P3 in the Eurocup Formula Renault 2.0 standings with a single round of the season remaining, Lotus F1 Junior Team star Esteban Ocon is set to compete in the 60th edition of the Macau GP next month. In addition to becoming the first Frenchman to compete in an FIA-rules F3 competition since the current generation of machines were introduced at the beginning of the 2012 season, Esteban will also be following in the footsteps of Enstone compatriot Romain Grosjean by making the jump straight from Eurocup Formula Renault 2.0 to the Macau GP as his F3 debut. Concluding a ground-breaking five-part video diary, the final episode of the burn Yard series brings this epic journey to a close with the spectacular burn Yard Live even in Budapest. Including a special guest appearance from Kimi RÃ¤ikkÃ¶nen, a unique piece of Formula 1 themed artwork from renowned street artist M-City and a brand new, Enstone-inspired track from superstar DJ Avicii, this was one event not to be missed! October 17th; check your calendar and what will you find? 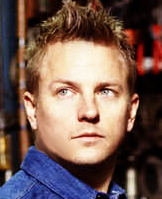 Of courseâ€¦ itâ€™s Kimiâ€™s birthday! To mark the occasion, we gave fans the opportunity to show their love for our Finnish maestro by sending us video clips wishing the Iceman many happy returns. Quali at 2:30am and race at 3:30am! I dont think they really want to place Kimi and Seb together anymore, they can be somewhat disruptive. 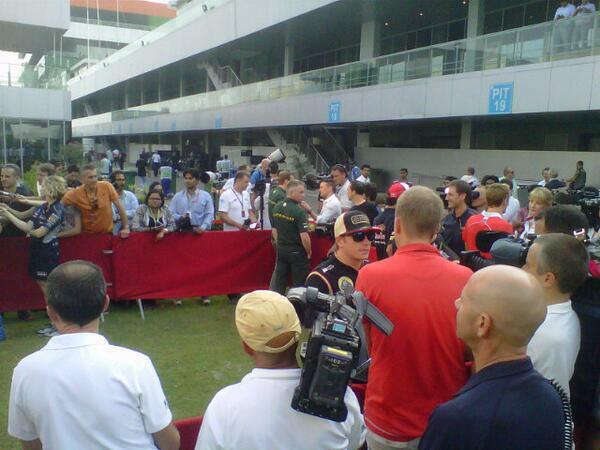 There press conferences has really become a bore, they obviously just want to grill Kimi about his qualifying. I really hope Kimi can do better in qualifying in this race, people are expecting good results for Lotus here. Lotus boss Eric Boullier has dismissed talk that Kimi Raikkonen has lost interest in the 2013 season now that his Formula 1 future is secure with Ferrari. Raikkonen has been outqualified by team-mate Romain Grosjean at every race since he announced ahead of the Singapore Grand Prix that he was rejoining Ferrari in 2014. But Boullier is adamant that Raikkonen's form has nothing to do with him losing motivation. Instead he thinks Grosjean having stepped up his performance is the major factor. When asked by AUTOSPORT if he felt Raikkonen's interest had waned now that he was leaving Lotus, Boullier said: "Not at all. I don't think so. "I think it is more about Romain, who came back in the game. If you remember last year, Romain was very much up to speed but, if I may say this, then his spirit went down and he lost ground a little bit. But Romain is now back." Raikkonen's performances have also been hampered by the fact that he does not like the new Pirelli tyres that were introduced from the Hungarian Grand Prix. Lotus has emerged at Red Bull's main challenger in recent races, and Grosjean even led the early stages of the Japanese Grand Prix. Boullier is proud that his team's recent efforts have so clearly paid off. "What we brought during the season delivered the performance expected," he said. "It is true it was a bit of a gamble, but I am proud of what we could achieve with the long wheelbase package - which is not only about the wheelbase but also the aero around it. 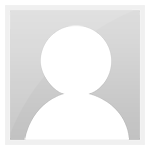 "It is good to see that the new processes we put in place, including the driver in the loop simulator, look like they work. "It is good to see that we could raise our game a little bit to improve the car in qualifying and keep the characteristics of the car for the race." Really, no one has even wondered or thought about Kimi losing interest or I certainly haven't seen one word about it, people have only been wondering if Lotus is interested in seeing Kimi get good results. Which is something completely different. I think Jonathan Noble might be working for Lotus, he is always in direct discussion with Permane and Boullier and he is basically the only one who ever writes about them on Autosport. This seems like another nice opportunity to print more of Boullier's agenda regarding Grosjean. Boullier denies Kimi has lost interest? I agree, I think he's the one who think Kimi lost interest, also he was the one who wrote Grosjean is a Kimi beater. 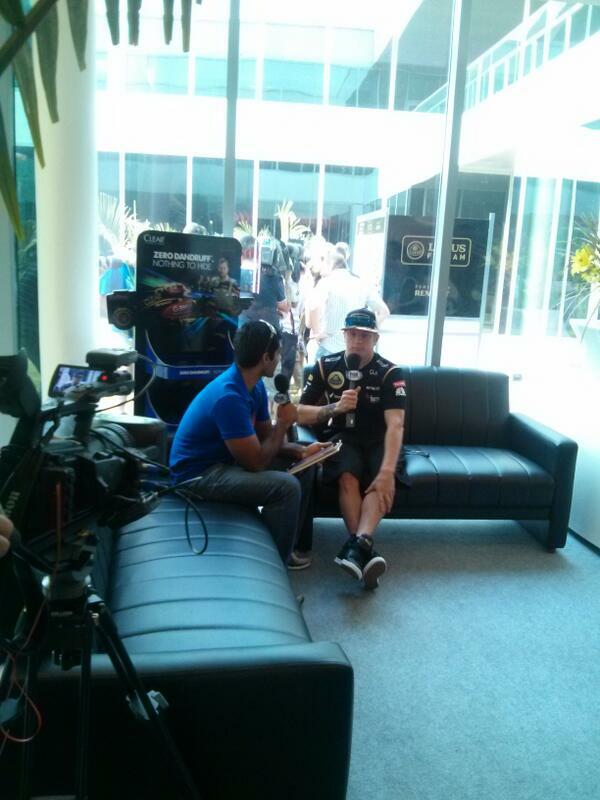 Isn't that Chandok interviewing Kimi? Hope we get to see it on youtube.